There are hundreds of exhibits in the investment “factor zoo.” Which ones are actually worth your time, and your money? Andrew L. Berkin and Larry E. Swedroe, co-authors of The Incredible Shrinking Alpha, bring you a thorough yet still jargon-free and accessible guide to applying one of today’s most valuable quantitative, evidence-based approaches to outperforming the market: factor investing. 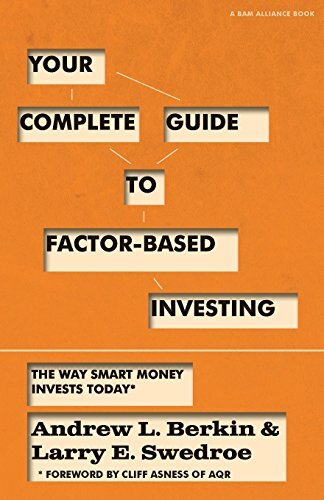 Designed for savvy investors and professional advisors alike, Your Complete Guide to Factor-Based Investing: The Way Smart Money Invests Today takes you on a journey through the land of academic research and an extensive review of its 50-year quest to uncover the secret of successful investing. By the end, you’ll have learned that, within the entire “factor zoo,” only certain exhibits are worth visiting and only a handful of factors are required to invest in the same manner that made Warren Buffett a legend. If you have any questions about this product by Buckingham, contact us by completing and submitting the form below. If you are looking for a specif part number, please include it with your message.